Home menopause , perimenopause Pregnancy During Menopause: Can It Happen? Pregnancy During Menopause: Can It Happen? Menopause is the time in a woman's life when her reproductive system shuts down and her reproducing days are over... or are they? For some women, pregnancy is still a concern during menopause. How is this possible? There may be more than one factor that plays a role in the possibility. For this reason, the best way to understand how pregnancy can occur during menopause is to understand what happens to a woman's body during this change of life. For starters, menopause occurs when a woman has gone 12 consecutive months without a period cycle. The lack of menses is a sign that estrogen and progesterone production has stopped. The ceasing of these hormones means that the ovaries will no longer produce eggs. However, sometimes, even though a woman is menopausal, she may still produce enough estrogen for an egg to be implanted within the uterus lining. The reason why hormone production can still occur is due to the fact that menopause is not characterized by a single event. It is better described as a process that takes place over a few years. Therefore, it is not unheard of for a woman to have fluctuating hormones for as many as five years after she becomes menopausal. At any time during this five year period when hormones are unpredictable, it's possible for a woman to become pregnant during menopause. Thus, if there is no other reason why a woman cannot become pregnant (I.E. previous hysterectomy or medical condition), she may want to consider talking to her doctor about birth control during menopause if pregnancy is a concern. Women cannot become pregnant naturally when they are post menopausal (after they have completed menopause). This is because they no longer produce the hormones that are required for menses to take place. 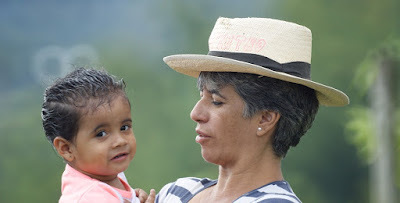 Women who believe they have become pregnant after menopause actually became pregnant during menopause because it is not possible to become pregnant without medical intervention after menopause. 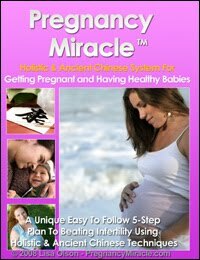 It is simply impossible because pregnancy can only occur if estrogen and progesterone are being produced. Women who have experienced an early menopause (usually before the age of 45) and who had difficulty becoming pregnant or wished to start a family later on in life, can still become pregnant with hormone therapy during menopause and through an egg donation procedure after menopause. However, it is important for women who are of an older reproducing age (I.E. 35 and up) to understand that there are certain risks involved in becoming pregnant. Women who become pregnant during menopause are at a greater risk for pregnancy loss, infection, hemorrhaging, embolisms, gastrointestinal diabetes and developing hypertension disorders. In addition, strokes, seizures, and eclampsia are also risk factors for older pregnant women. Furthermore, medical research has discovered that 40-year-old women put themselves at high risk of developing these health conditions if they become pregnant, and the risk grows even higher with each passing year after 40. As you can see, although it is rare for a woman to become pregnant during menopause, it is plausible. That being said, pregnant menopausal women need to be kept under the watchful eye of their doctor to protect the health of the expectant mother and the heath of her unborn fetus. Keep in mind that while a woman can become pregnant during menopause this is a rare occurrence. Therefore, despite what you may read in magazine articles or online if you have concerns about becoming pregnant, or suspect that you are pregnant, the best person to speak with for advice is your doctor or gynecologist. About the Author: By Kathryn Whittaker. Sign up for a free newsletter and discover how to banish unpleasant menopause symptoms fast. I had a tubal ligation 1987 after i had my last child 24 yearsago had an etopic pregnancy in 1990. 3 years later.i had my right tube removed and my left ovary cut in half. It had a cyst i was 4 months pregnant. I am now 46 and i think im going thru menopause can i still get pregnant? can you get pregnant with a tubal while in menopause? I am 45 years old. I have missed a period two months at the most. I miss periods every now and then. Can I use birth control and if so, what can I use? Yes, you can use a form of birth control. Speak to your doctor about what method is best for you. I am 46 I missed 2 periods. I had some brown blood showing on just the toilet paper. I was concerned because usually the brown blood only comes right before my period ends. This time it was before my period even started. it lasted for like 3 days. Then it stopped. And still no signs of my period. I was getting symptoms like cramping and sore breast. But still no period in 2 months so far. So I made my OBGYN Apt. and my Dr. told me I am premenopause. I do not have any children I always wanted to have babies. I also have 3 thyroids. And a tilted pelvis. What are my chances of getting pregnant? At 48 years old, I'm still nursing 3-4 times a day. I have regular cycles. The luteal phase seems shorter than before, even adjusting for the breastfeeding. I'd be happy to welcome another precious child into my heart, but after four months of cycling, no pregnancies. I think my little guy is The Omega; and, I'm fine with that. However, it is an adjustment. Life is a mysterious ride...just gotta enjoy the free falls, like pregnancy or perimenopause! Just saw my obgyn last week, and I told her I think I've past the 12-month mark, with no period. I've also encountered my share of horrible hot flashes. She told me to not worry about pregnancy anymore, that I no longer had to use contraception. It makes me super nervous! I still feel as if I could get pregnant. I was always extremely fertile and we always got pregnant right away when I was trying to have children. Is it just in my head? I read the article above, but it doesn't speak about hot flashes as being a sign that you no longer have to worry. My doc told me if you've had hot flashes that signals estrogen deficiency and that would mean "your done" with child-bearing years. Also, I happen to take black cohosh, chaste-berry, and MACA powder to curb the hot flashes and it works like a charm (and mine were BAD)! So, if they are adaptagen herbs and they balance your hormones to the point where my hot flashes have gone away, do I now have reason to worry again because my body may be balanced out hormonally as before? Help? getting pregnant now (at 49) is NOT an option for me!! I posted above as the mother of 12. Ironically, I conceived twice since I first posted. Both ended in miscarriage: the first at 5 weeks, the second at 8 weeks. So just because you can conceive, the chances of a healthy baby are slim. I'm sad, but rejoice in my living 12! No, unfortunately there is no guarantee that a pregnancy will be successful. We had 6 pregnancies after 49 years old, but no live births. I am 42. I had one ovary and tube removed when I was 18. It wasn't easy for me to get pregnant. We have two boys, 19 and 11. Between the two I had 2 miscarries and after the 11 year old I had a tubular pregnancy. The doctor had to tie my olny tube when in surgery for the tubular pregnancy due to bleeding. Now, 9 years later, my breast are sore and that hasn't happened in YEARS! Haven't missed a period this month yet, but was wondering if I could still get pregnant? I beleive anything can happen. I would love to have one more child! I got married when I was 36 yrs old. I had a miscarriage when I was 39 and then gave birth (c section) when I was 40. He was born 36 weeks and is perfectly healthy. This February 2013 I gave birth to my second miracle baby. He was born 32 week due to early contractions. He caught Sepsis before he was born which caused premature birth. He died 33 days later in NICU. He was precious. He had no abnormalities just born early and had complications from treating the Sepsis. Since then I have had no period. Doctor says I could be entering menopause. I have hot flashes, ect. I would love to have another baby!!! They are precious no matter how they come or how long they stay. I thing if you approach doctor, then they will advice you.